One of Australia’s most remarkable actors, Uncle Jack Charles plays Uncle Jimmy West, the original Cleverman on the hit ABC dystopian spec-fic series. Turns out these two Uncles have a lot in common. In Cleverman creator Ryan Griffen’s world, and in the Dreaming, the Cleverman is the wise leader – a man with special powers and responsibilities, who can unleash chaos or raise the dead. Being the Cleverman is a big role, but the diminutive Uncle Jack Charles is the perfect fit. Born in the 1940s Uncle Jack sees himself as the product of the assimilation policies of the time. He was stolen from his mum at Cummeragunja mission and put into care and abused in a Salvation Army institution at Box Hill. Uncle Jack casts these as years of ‘whitewashing’, where the Salvos and his foster parents sought to keep him from his Aboriginality. When he started hanging out in Fitzroy looking for his mob, he was arrested for leaving his foster home without permission and sent down for the first time. A downward spiral began. Jack cat-burgled the wealthy houses in Northcote and Kew to pay for his drug habit, wryly recasting his crime as ‘collecting rent on country.’ ‘There are 22 mug shots of me in the Victorian Police files,’ he says ruefully in an interview with Ididjaustralia. ‘I was pretty much a failed cat-burglar.’ But Jack Charles was – and still is – a fine actor. Only 19 when he appeared in his first play, over many years Jack earned his acting chops at Melbourne’s New Theatre, before co-founding Australia’s first indigenous theatre group Nindethana in 1971. Uncle Jack’s acting credits are as long as your arm. He appeared in Australian classics like The Chant of Jimmy Blacksmith, Rush and Blackfellas, groundbreaking plays like Blood Knot, and Jack Davis’ No Sugar. Recently he’s played the Chief of the Faeries in the Warner Bros feature film Pan, but Australian audiences will likely remember him more from the ABC series The Gods of Wheat Street and Redfern Now. ‘It’s very hard to heal oneself from these policies of the past,’ says Jack, but he’s been doing that work for many years, using his creativity as a tool, even when he was in the nick. Belonging is a big part of Jack’s story. He picked up the search again that he began when he was 19, and through the Koori Heritage Trust he found out about his ancestry. He discovered that his Dad was a Wiradjuri man, and his great-great-grandfather, a Djadjawurrung man, was one of the activists resisting government policy at Victoria’s Coranderrk Aboriginal Reserve in 1881. ‘Makes me more complete as a blackfella,’ says Jack, who proudly performed in the recent Ilbijerri/Belvoir theatre co-production Coranderrk, that dramatises the story of that resistance. Jack’s work has inspired many people, but curiously, the work of art that spurred Jack to change was a work about himself. Amiel Courtin-Wilson shot footage for 7 years, recording some of the darkest parts of Jack’s life for his film Bastardy. Watching himself on screen shooting white powder into his veins, he was shocked and ashamed. The insight it gave him? That he was abusing his Aboriginality. Bastardy inspired him to get clean and to honour his heritage. After his last stretch in prison – the 22nd time he’d been in the nick – he came out a lore man of the Boonwurrung people, a self-declared Cleverman on a mission. 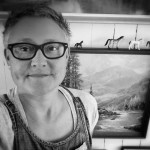 Through the stories he shares, the work he makes, Jack Charles transforms trauma into art, connecting the Dreaming to our world. This is the work of reconciliation. And that’s the proper work of a Cleverman. 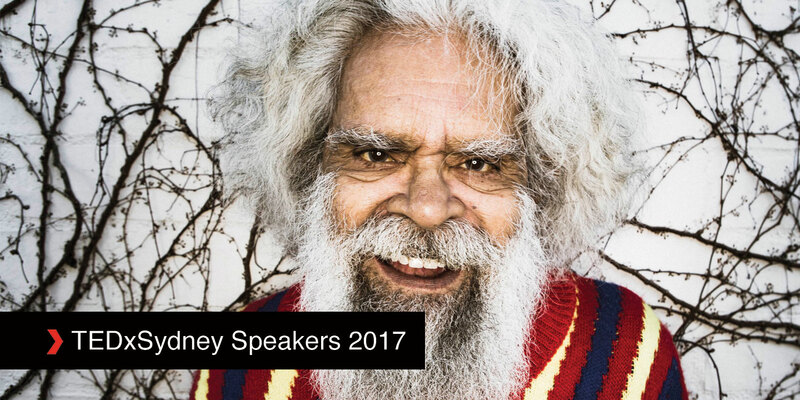 Book now to see Uncle Jack Charles at TEDxSydney on Friday 16 June 2017.